Smarthome enthusiasts from Automated Home forum announced the way of using O2 Joggler as xAP controller. What is the O2 Joggler? The O2 Joggler is a touchscreen family organizer offered by UK company O2. It’s very cheap – just £50, and can be used to access online content via WiFi or some applications such calendar or maps. And xAP is an open Home Automation Protocol, created by Automated Home readers. The big advantage of xAP, except its openness, of course, is possibility to integrate it with most popular standards like X10 or Z-Wave. So, mixing O2 Joggler and xAP we get a cheap portable controller for our DIY home automation system. To get more information, please, follow by that thread on the Automated Home forum. 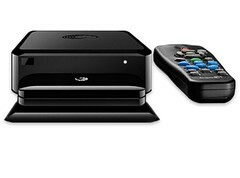 Seagate is going to produce a new network HD media player FreeAgent GoFlex. Comparing with FreeAgent Theater+ I can see a good progress. First of all, the GoFlex it’s more compact and looks much better then Theater+. It still uses approach with slot for external HDD – GoFlex or GoFlex Pro ultra-portable drives. But the disk is hidden behind the slot’s cover. The player supports all well-known codecs and media containers and allow to play media content from attached USB storage or network shares. Additionally it offers NAS function to share content from attached USB storage in your local network. The GoFlex player also provides an access to the online media services such Netflix, Youtube, Flickr, Picasa, vTuner, text or video RSS feeds, finance and weather widgets. Looks like we have a competitor of iRidium mobile software for iPhone/iPad/iPod Touch. 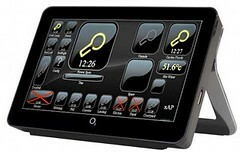 TPControl also allows to use Apple devices as full-featured touchscreen control panel for AMX home automation systems. It supports TP4 file natively and offers all functions of original control panel via WiFi or 3G connection. Additionally TPControl is authorized product partner of AMX. I didn’t find the price of the TPControl software because as I understand it’s available via dealers only. 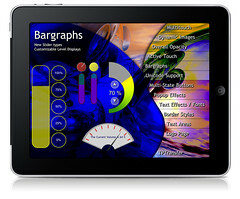 The demo version of the software can be downloaded from AppStore and server part – from the producer site. The server part is a disadvantage of TPControl comparing it with iRidium mobile. Because iRidium doesn’t need anything on the server side. Moreover, iRidium can be adjusted to use it with other IP-based home automation and entertainment systems. 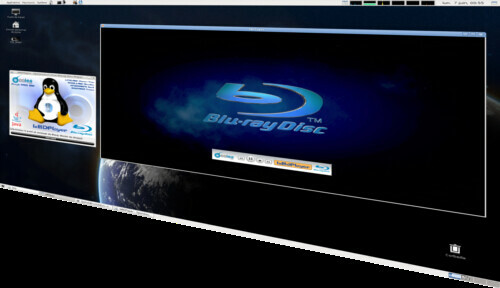 It’s possible to playback Blu-ray disks under Linux with an open source player lxBDPlayer. There is an Ubuntu/Debian package on the project web site. So, if you’re interested download and install it. It’d be nice to see the comments people who try the lxBDPlayer. Sometimes we’d like to watch movie or see photos from our notebook or PC directly on TV. Modern laptops have even HDMI output. So, it’s easy to connect them to TV. But again you need wires and stay near laptop to control playback or slide show. Wisair offers more convenient way for that. Using its Wireless USB Audio/Video Adapter Set you’ll able to send even 720p HD video without wires! 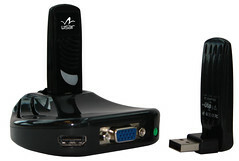 Just plug USB transmitter to the laptop (or any PC) and connect the A/V receiver to your TV via HDMI or VGA. That’s it. Nice solution isn’t it? For more details, please, see the press-release below.